Automatic handling, storage, and distribution of the products become easy with our automated warehousing system. Also, our storage facility is timely upgraded to meet the changing market scenario. You can opt to make payment by LOC, COD, Cash / Bank transfer, etc. according to the suitability of patrons. We are familiar with all and we make sure the transactions are secure. 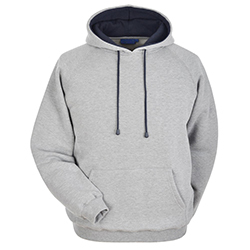 WB-605 Gym Hoodie has a soft fabric lining with a long sleeve length and two front pockets.